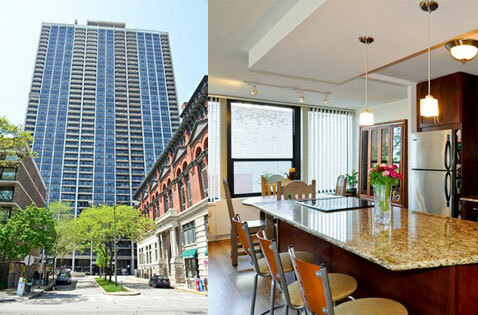 "1560 N Sandburg is the tallest and largest of the Sandburg Village high rises. These units also command a slight premium because they are newer than the other Sandburg Village high rise buildings." 1560 N Sandburg Terrace - James House - is part of the Sandburg Village community of buildings in the Gold Coast. The 43-story building contains 520 condos. The building offers studios, one, two-bedroom and larger floorplans as well. 1560 N Sandburg is the newest of the Sandburg Village buildings so has some more modern features such as balconies and central air. In addition to the 24-hour doorman, James House residents enjoy access to the other great amenities of Sandburg Village including tennis courts and 2 pools. 1560 N Sandburg does allow pets and leased parking is also available to residents.